I don’t cook every day so, when I do, I tend toward the complex. 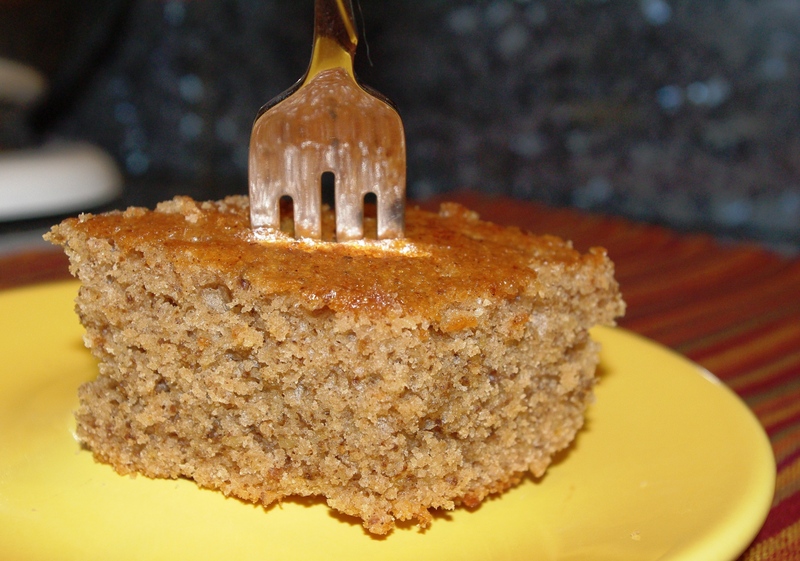 Yet I was drawn to this recipe for Greek Walnut Cake, posted on my favorite newspaper food site (the Los Angeles Times). Part of the allure, I suppose, was that I had all the ingredients in my house — a bonus on a rainy February day. The other factor: curiosity. Here was a cake with olive oil and milk (and no sign of my usual butter). Where you whip eggs into the flour and other dry ingredients; no creaming of anything. Where a hefty dose of allspice should overpower the gentle walnuts. Yes, it appealed to my contraryness. But I didn’t guess that just a few ingredients combined counter-intuitively would meld into a sublime dessert a once nutty, moist, sophisticated and so much more than the sum of its parts. It shouldn’t have been this good. But it was.